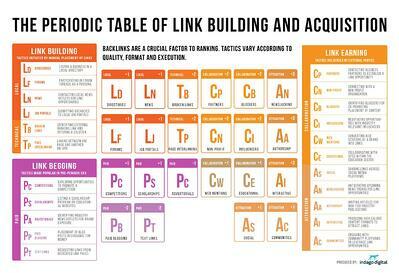 Indago Digital, an Australia digital marketing agency, recently reviewed the various ways to build inbound links and put them into a clever Periodic Table of Link Building. The company says: “Our goal with the Periodic Table of Link Building is to help publishers focus on the fundamentals needed to achieve success by engaging with contextually relevant websites.” I’m pleased to see that Newsjacking, a concept I pioneered, is one of most important elements in the table. Marketers understand that getting an inbound link to their own content is a great way to influence search engine rankings. But there are so many ways to achieve this goal. While its great to see Newsjacking on the table, the authors say that the strategy is “Anticipating upcoming news trends for link opportunities.” I have difficulty with this definition because “anticipating” isn’t possible with a story that breaks out of the blue. And those unusual stories are frequently the best newsjacking opportunities. My definition is: Newsjacking is the art and science of injecting your ideas into a breaking news story to generate tons of media coverage, get sales leads, and grow business. Newsjacking is way more than anticipating the big game, the Academy Awards, or Australia Budget Night to create real-time content like NAB does. Creating content on a known event is just one type of newsjacking. True newsjacking comes from stories you never saw coming. For example, who could have imagined a story like the one that broke on Monday where George Papadopolous, former foreign policy adviser to the Trump campaign, pleaded guilty for making false statements to the FBI? This is exactly the kind of serendipity that true newsjacking is built on. Into that story comes Mitch Jackson, partner at Jackson & Wilson, a team of lawyers in Southern California. This sort of timely newsjacking gets Mitch in front of a breaking story, get’s him interviewed by the media, and generates many inbound links, greatly benefiting his site’s SEO. Take a look at the table. There is some valuable information here for sure.